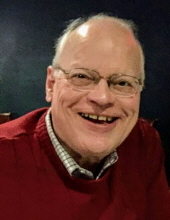 William Robert (Bill) Alexander of Huntingdon, PA passed away on February 1, 2019 at the age of 74, following a difficult but short bout with cancer. To those who knew him well, his loss will be immeasurable. He is survived by Sue, his wife of 50 years; twin sons B. Todd (wife Hillary) and J. Scott (wife Val) of McConnellsburg, PA; and six grandchildren who brought him unparalleled joy (Olivia, Henry, Reese, Clinton, Eston and Hayes). He was preceded in death by his parents, J. Frank Alexander and Doris (McKenzie) Alexander. Bill was born on October 9, 1944 and raised in McConnellsburg; graduating from McConnellsburg High School in 1962. He graduated from Juniata College in 1966 with a degree in Economics, and earned a master’s degree in Economics from the University of Minnesota in 1972. His entire professional career was dedicated to his beloved Juniata College, where he taught economics alongside his mentor and friend Ron Cherry, before being convinced to utilize his talents as the College’s Business Manager, a position that led him to become, and later retire as, Juniata’s Vice President for Finance and Operations. Bill was known as a tough but fair boss with high expectations. He led by example, logging countless 12 hour days on campus, and was instrumental in keeping Juniata on solid fiscal ground for more than four decades, never losing sight of, and often reminding others, that the students of Juniata were her most important resource and the reason faculty and staff were there. He was known for his equitable treatment of all and was fond of noting, “Everyone knows something you don’t, and you should respect them for it.” He was community minded and he valued his long tenure as the Treasurer of the Huntingdon Little League, his service to the Huntingdon Rotary Club and his service to the boards of Mutual Benefit Insurance and The Huntingdon County Foundation. Though he resided in Huntingdon for more than 50 years, all who knew him knew his home was Fulton County. Immensely proud of the place, and its people, he was a supporter of many local causes and charities and took great pleasure in introducing others to the history, land and people of Fulton County. Bill enjoyed history, good food, good restaurants, country music, baseball, reading, Subarus, red wine and the analysis of each; which often led to a spreadsheet and a long conversation in which he would make recommendations or attempt to bring you around to his way of thinking. Throughout his life, he was known to be a bit of a control enthusiast and he chose to die the way he lived, on his own terms. He spent his final days at his family cabin in the Narrows north of Knobsville, PA, seated by the fire, with a glass of red wine, listening to the music of Merle Haggard, surrounded by people he loved. Also in line with his wishes, a celebration of life will be held at the convenience of the family. Memorial contributions may be made in his name to Juniata College, and will be utilized for a scholarship fund in his honor. The family has entrusted Bill's care to Kelso-Cornelius Funeral Home in McConnellsburg, PA. Online condolences may be expressed at www.kelso-corneliusfuneralhome.com. To send flowers or a remembrance gift to the family of William R. "Bill" Alexander, please visit our Tribute Store. "Email Address" would like to share the life celebration of William R. "Bill" Alexander. Click on the "link" to go to share a favorite memory or leave a condolence message for the family.